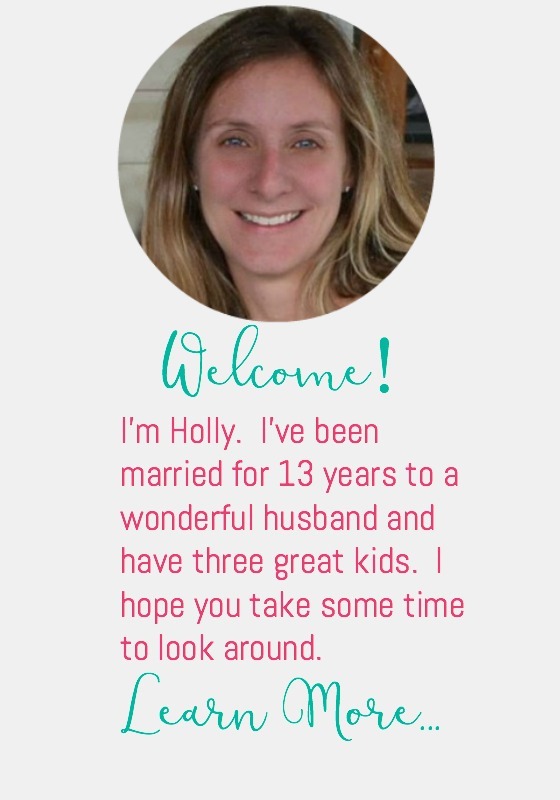 Do you have kids running in a gazillion different directions like I do? I always think I’ll have so much extra time when the kids go back to school, but I feel even more swamped! Once the kids get home from school it’s nonstop. All three of my kids go to different schools, which doesn’t help much. I have a 7, 9, and 12 year old, and they are all in different sports, that practice at different times, and in different parts of town! Ugh! 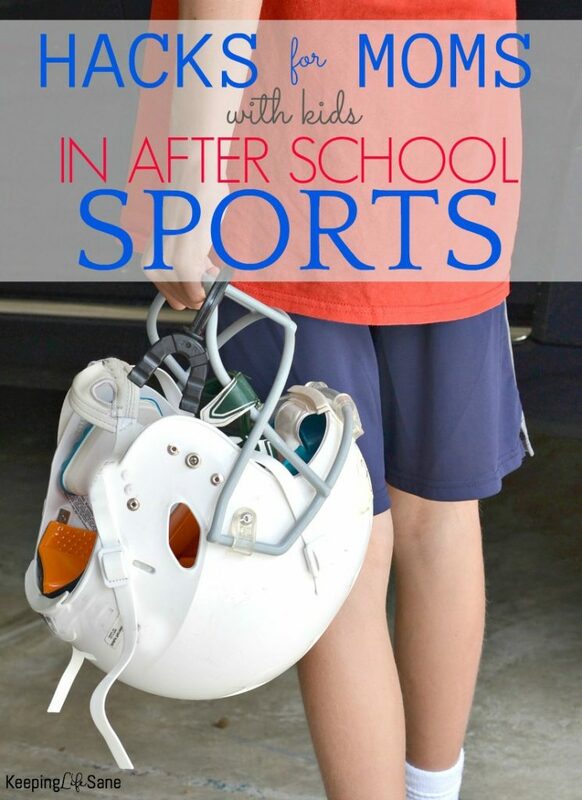 Sometimes it can feel so overwhelming, but I came up with some hacks for moms with kids in after school sports. I know other moms could use some help, too. 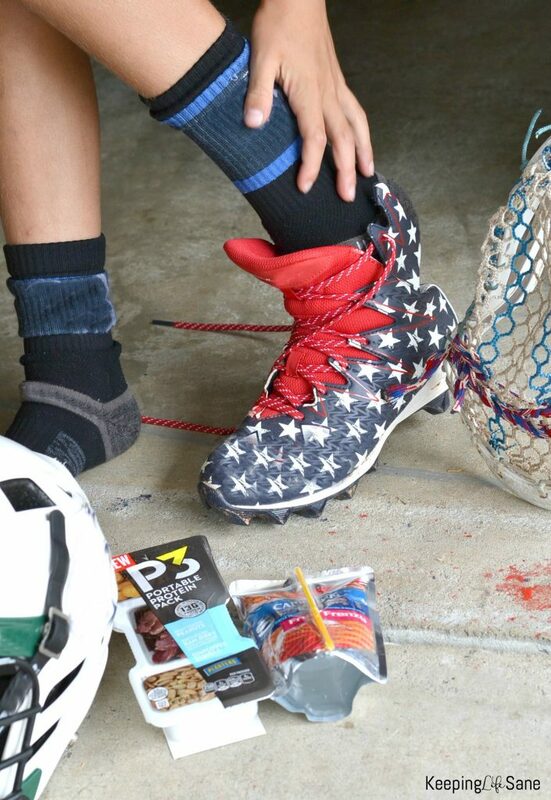 Keep sports cleats where they can grab them. 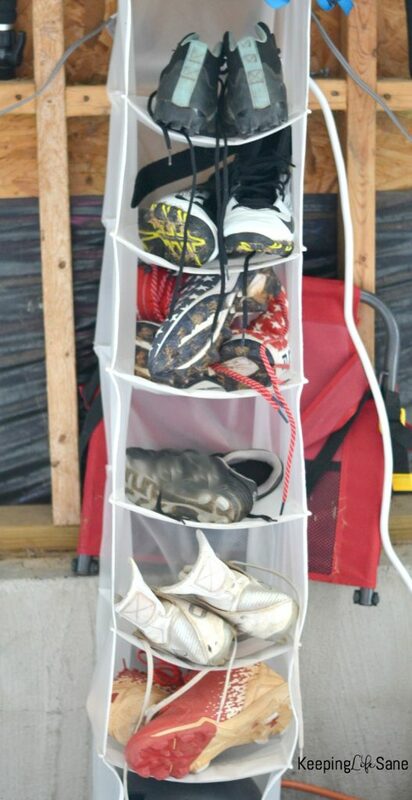 I have this closet organizer hanging in my garage and I love it because the kids know where to put their cleats. They always know where they are and it doesn’t make a mess in my house. I have one son that was always missing one cleat, so this was a lifesaver. Yes, we do use all these cleats! 2. I like to keep all their sports clothes together and have a separate bin for each team. I have one for my daughter’s soccer, son’s lacrosse, and another son’s baseball items. This saves so much time. It’s a mess searching and looking for socks, slide shorts, and jerseys. As soon as the laundry is done, I put their items in their bin so they won’t get misplaced. 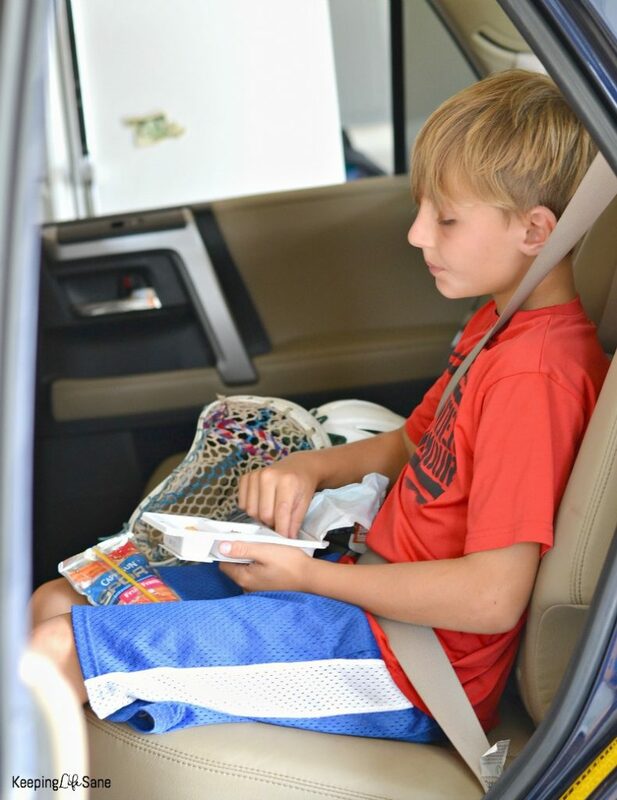 Misplacing sports items is a huge frustration in our house and this has helped with that problem tremendously. 3. 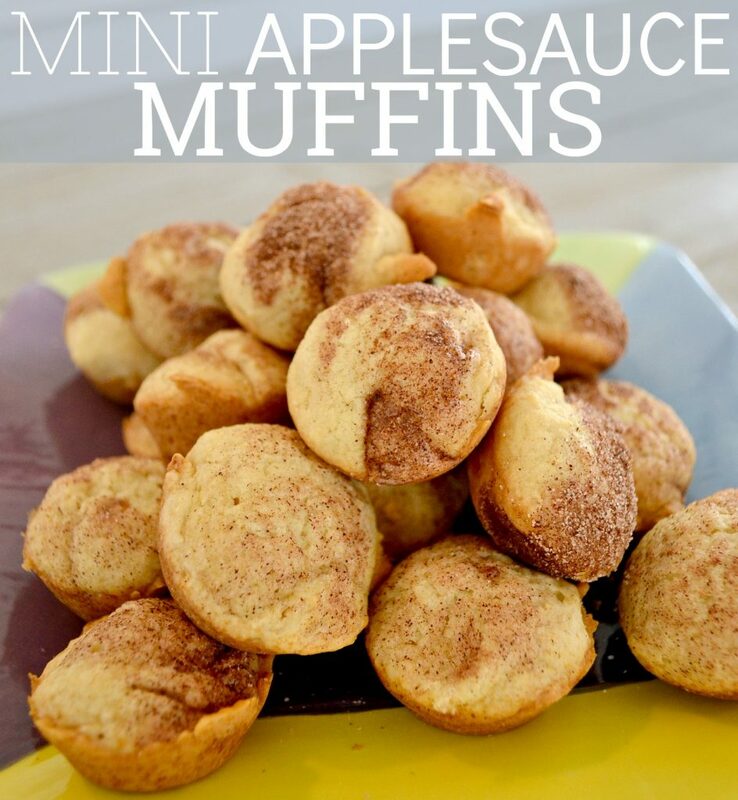 Have snacks that are easy to grab. With kids running in 3 entirely different directions, we never know when we’re going to be able to eat dinner. I like to have drinks and snacks that are easy to grab. We have a refrigerator from our old house in the garage and have it filled with water, fruit, and Capri Sun Sports. 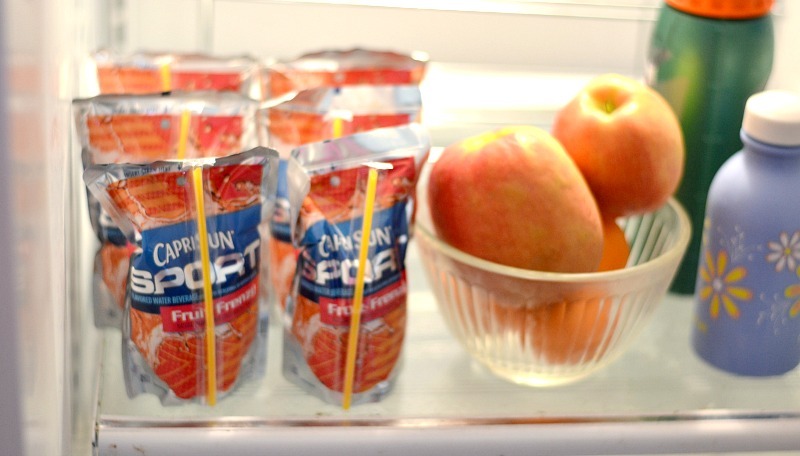 They’re new, have 25% fewer calories than other sports drinks, and can be found in the juice aisle at Wal-Mart with the other Capri Sun varieties. I also have a bowl in the pantry filled with snacks like the Planters P3 Protein Snacks (found in the nut aisle). These are awesome because they have 13g of protein so it should keep them full between meals! This brings me to dinner. The only thing I can say about this: menu planning. I made a cute menu and grocery list printable awhile back. You can print it out here. This is so important. I get so many of my meals off Pinterest. I love my slow cooker during this time of year! Everyone can eat and the food is still warm whenever they are available. Make sure and take some time to plan your meals, as ten minutes of planning can save you tons of money. Let me know what tips and tricks you use to help you on these busy nights! Bonus Hint: Don’t try and take pictures of your child while they’re trying to get ready for practice! They don’t like it!